Local deals are definitely better options when you’re looking for low-risk investments to your money such as certificates of deposit. In this case, Hanscom Federal Credit Union fits the bill. It continues to offer good deposit deals in the state of Massachusetts. The two best deals are the 18th-month and 30th-month CD terms. The dividend rate for the 18th-29th month CD maturity is 1.14%, while the APY is at 1.15%. On the other hand, the dividend rate for the 30th-59th CD is 1.44%, with an APY of 1.45%. There are other maturity terms available as well. An example is HCU’s 3-5 month term, with a dividend rate of and APY of 0.50%. A 6-11th month term will yield 0.60% dividend and APY, while a 12-17th-month term gives you 0.80%. They also offer an 11-month term made available only when you have an existing Premier Checking account, with a dividend and APY of 0.95%. A much longer term is the 60-month maturity rate. At a dividend of 1.83% and an APY of 1.85%, this proves to be one of the better deals available from local CD offerings. Another maturity term that’s available only with a co-existing Premier Checking account is the 48th-month term. Dividends are given 1.79% growth and an APY of 1.80% for the whole course of maturity. All these certificates require a minimum balance of $1,000 in order for you to open such account. However, they also have an Easy Start CD offer open to those who have less than the standard deposit amount, but willing to invest their money all the same. For only $250 in initial deposit amount, you can incur an APY and dividend rate of 0.50%. Before opening an account, you need to be a member of this credit union. To be a credit union member, an online membership form is available for filling-up. As part of their eligibility criteria, you must be an active or retired employee of the Federal Government in Massachusetts. Aside from this, you can choose to join a sponsoring member such as the Air Force Association, in order to be a credit union member. Further details will be disclosed as soon as you contact and send your personal inquiries to their customer service personnel. Considered to the Massachusett’s 6th largest credit union, Hanscom FCU was first established in 1953. Having been established in the financial industry, Hanscom FCU gives rates that are over six times higher than the national average. Hanscom Federal Credit Union branches are located in Boston, Bedford, Concord, Burlington, and in the Hanscom Air Base. Aside from credit cards, students today now make use of checking accounts as well. For parents who are looking for great deals on checking accounts for their kids who are in college, it may be advantageous to take a look at what Bank of America has to offer. The eBanking Checking Account Promotion is indeed the best for students. Why is this so? It is because there will be no maintenance fee when they select paperless online statements and when they will withdraw and make deposits by ATM or online. This makes it very accessible and easy for students since they are always online and using their computers. For those who don’t wish to avail of paperless billing, then students will have to pay $8.95 per month. There is also no minimum balance that is required which is again advantageous for students especially those who are running on a tight budget. The regular savings account is also optional in eBanking and this can be used anywhere because there are so many Bank of America ATMS available. And the last promotion and feature being offered by this is that the owners or the account holders can have up to 20% cash back every time they will use their debit cards. This is by far one of the biggest cash back offerings given by any banking institution. The bigger the cash back, the more money the student can save. If you are interested in getting this kind of eBanking checking account promotion then you should go online now and visit Bank of America’s site to know more about the promotion. Certificates of deposit are a great way to save because there’s almost no risk involved while keeping your money in a place where higher interest is ensured. One financial institution that offers the best deals and rates in terms of deposits is Self-help Credit Union. The institution is FDIC insured and their main goal is to help their clients and customers get the best financial services possible. Those who will open certificates of deposits will have peace of mind because they are guaranteed a certain interest rate which they can choose to lock in at the beginning of their term. The longer the term you choose, the higher the interest rate offered to you. Plus you don’t have to invest such a big amount since the minimum investment is only $500 with terms from three months to five years. For a minimum deposit of $500 dollars in a three month term, you can get an annual percentage rate or APR of 0.50% and an APY of 0.50%. Those who will be choosing the twelve month term will have an APR of 1.05% and an APY of 1.06%. While an APR of 1.25% and an APY of 1.26% for the term of 24 months or two years. And for the 36 month term, the APR is 1.50% and APY of 1.51%. The rates will obviously depend on the term thus clients should really decide on how long or what term they are going to choose. These rates are quite helpful and advantageous for those who are looking to take advantage of what certificates of deposits can offer. Mortgage rates and loans are very important for those people and families who want to have their own houses to make into their home. We all know that the real estate business as of today has reached an all-time low because of the recession. With all of these, there have been many families that lost their houses due to foreclosure. However, the advantage of this is that new buyers can get houses at low prices, and better yet, at affordable mortgage rates. There are a lot of financial companies that these families can go to and one of these is Quicken Loans. Quicken Loans is a very reliable and stable company that is helping a lot of people through their affordable mortgage rates. It is also recognized as one of the largest lenders online. The same company was also recognized to have funded an amount of over $30 billion in mortgage loans. Right now, their 30 year fixed loans are appealing to many borrowers. Fixed loans are structured in such a way that the rates will remain the same upon lock in and until the maturity of the loan. This means no fluctuation in interest rates as compared to adjustable rate mortgages. 30-year fixed loans are most popular because the length of time helps keep the monthly payments low. This will also help in refinancing specific percentages of up to 95% in the owner’s primary home value. You can get loans from $25,000 to $ 2,000,000. The 30 year fixed mortgage rate is 3.875% with an APR of only 4.05 %. The lower the mortgage rate, the lesser you’ll pay in terms of interest. What’s more, borrowers will not be charged any pre-payment penalties. For those who are still looking for the perfect mortgage, Quicken Loans might just offer the right mortgage for you. Credit cards are a necessity to many people all around the world. Almost everyone in the United States have benefited from owning credit cards because it eliminates the need of having to bring cash around. Plus, with the advent of online shopping, credit cards have more than doubled in their purpose. Aside from that, daily needs such as groceries, paying their bills, and even gassing up are made more convenient with the right credit card. American Express makes it safer and easier for its clients or customers to purchase the basic things and necessities they want and need. They can just use it anytime they want and earn practical rewards at the same time. American Express is also the recognized as the world’s biggest card issuer and millions of financial transactions happen in their establishments daily because people simply trust them with regards to their money. 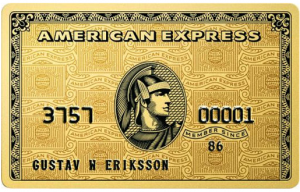 So what makes their American Express Premiere Rewards Gold Card unique and useful compared to the other kinds of credit cards? One of the most appealing things about this card is that there is no pre-spending limit as compared to other cards. The card also offers roadside assistance plus damage and car rental loss insurance which many clients or owners can use. And lastly, American Express gives remarkable rewards or bonuses to their customers. For their clients to be eligible to receive the bonus, they should first be enrolled in the American Express program of their membership rewards. 25,000 points will be given and accounted for when the owner of the credit card will be able to spend at least $2,000 worth of purchases during the first three months of membership. The points will then be credited to the card six to eight weeks after meeting the requirement. The bonus points will then be redeemed through gift cards valued at around $250 dollars. This amount will be very useful to those who love shopping and will be helpful in the daily lives of the clients. So if you do not have this card yet from American Express, you can easily apply for one online. Like many banks these days, American Plus Bank has dropped its rates to remain competitive. However, some of their best CD rates come from the mid-term maturity periods, the one-year term included. Since this maturity period is the most perfect start-up for beginners and low-risk takers alike, it won’t be long before you’ll find yourself among those eager to set-up an account now. Local deals and credit unions aside, the top contender for the 1-year CD is currently held by Doral Bank’s 1.15% rate. By comparison, American Plus Bank’s 1.11% does not lag far behind in this race. This is good news to those who have been waiting to score a great CD deal with American Plus for a long time as they will surely be assured of excellent growth with their hard-earned money. The CD maturity terms from America Plus ranges from seven days to 60 months or 5 years. The rates vary in value, but the best ones are from the 12-months up to 24-months deal. The minimum initial deposit to open an account is $1,000. For a much higher maturity earning, pump this up to an unlimited amount of over $100,000. More information regarding fees and other specifics will be provided as soon as you contact one of their friendly customer service assistant either online or by phone to the bank nearest you. American Plus Bank was founded in 2007. Despite it being young in the world of banking and financial services, it rose to the rank of being 143rd largest bank in California. One of the great things about American Plus is that it boasts of a 55% higher than the national average with its rates. It is headquartered on Arcadia, California and currently provides electronic cash management system in an effort to push a wider selection of services to its growing consumers. With the national average for CD rates keeping a steady hold these days, the quest for competitive CD offers continues. One of the best deals in town comes from no less than a local finance company. EH Bank, which is situated in California, has much higher-than-average rates that you’re sure to go after for. EH Bank offers three different types of CD schemes: personal, business, and individual retirement accounts or IRA. Business CDs have equally the same features and rates, while IRAs yield slightly higher returns for your money. As it is with certificates of deposit, withdrawals cannot be made without penalties. Since this is a fixed term investment vehicle, the longer the term, the higher the growth of your money. All these terms compound interest on a daily basis. The credited statement will be issued upon maturity should you choose to withdraw the earnings. Once you sign up for a CD term, you will need to enroll in online banking at EH Bank’s website so you can have 24/7 access to your account. Rooted in Beverly Hills, California, EH Bank is touted among largest SBA lenders in the country, finishing at seventh place. This mark of excellence continues to motivate the employees as well as the owners of EH Bank to pursue a full-speed route towards great service. The newest credit card offering from Chase will surely bring smiles to everyone. Partnered and backed-up by no less than the Walt Disney Company, their latest premier visa card lets members enjoy the perks and the magic that comes exclusively with it. •	New and first-time card members will surely get the most out of this card’s special cash back promotion. After using your card for any purchase or balance transfer for the first time, you will earn $100 which will be credited to your account. •	When you use your card for purchases at any grocery stores, gasoline stations, restaurants, and Disney locations, you automatically earn reward dollars of 2%. For example, spending $100 worth of purchases at any of these establishments will give you $2 in cash credits. •	All purchases of different categories than those mentioned get 1% cash back on every purchase. •	An introductory APR of 0% will be rewarded to you once you apply for any Disney vacation packages. The package must be valued between $101 to $10,000. This limited introductory APR will only last for 6 months. After this time frame, the APR will be placed at a variable rate of 14.24%. •	Enjoy super savings when you use your card at any Disney store. For purchases amounting to $50 or more, a 10% discount can be offered to you at selected Walt Disney World Resorts, as well as at the Disneyland Resort. You can also enjoy up to 20% discount on guided tours at any of the establishments mentioned. •	When you dine at the Disneyland resort, use your card to earn you 10% off on your total bill. •	Aside from discounted vacation packages, the cardholder may also choose to redeem Disney reward points on toys, DVDs, books, games, accessories, clothes, resort stays and dining. •	When you purchase airline tickets using your Disney premier visa, you get dollar rewards through redemption from your statement credit. •	Being a private cardmember, you get to enjoy exclusive meet-and-greet opportunities with some of the most beloved Disney characters. •	The credit card comes in eight unique designs for you to choose from. •	Annual maintenance fee for this card is $49. •	To receive the $100 statement credit, you will have to wait for 6-8 weeks. Despite the cons of owning this card, the benefits will certainly appeal to those who are fans of Disney products, theme parks, or those who have children who share the same passion for them as well. Making enough for a living is tough, but not when you’re backed up by a great bank that enables you to enjoy simple rewards out of your business purchases. That’s why AT&T Universal Business Rewards Class exists. This credit card is the perfect companion for you whether you’re just starting up with your business, or looking for ways to expand what you have. Every desirable credit card comes with a great reward system, and in this case the AT&T Universal Credit card is no different. With every dollar purchase of qualified AT&T products, you stand to earn not just one, but five points to your credit. This is possible when you make the purchase of AT&T services and/or products straight from AT&T. The card is also ideal for getting you points from partner establishments, made possible when you buy supplies from these merchants, or make use of their professional services. Gas stations are also included in this list. For these establishments, you get three points for every dollar you spend. The rewards don’t just end at your own purchases. When anyone of your employees make purchases with your card on any business-related products or services, a credit of one point for each dollar spent will be issued. So without you even lifting a finger, your points continue to accumulate. With all these great ways to earn points, you might start to wonder where to spend these on. That’s really not a problem since there are equally many ways for you to redeem and spend these points on gifts, travel, sopping, and related items. Just make a call to your bank and you will guided through the process, as well keep you informed of the stores in which you can choose to spend your points on. Another great perk of having the AT&T Universal Business Rewards card is that it’s almost virtually free of maintenance and fees. Although balance transfers are not applicable, as a cardholder, you can enjoy zero annual fee and a limited zero APR for purchases. This offer is good only for 6 months, after which the variable APR starting at 14.24% will ensue. Fees for transactions apply. Over-the-credit-limit penalty will also be placed upon your credit. However, you can choose to lift this limit should you wish to do so. Over-all, the AT&T Universal Business Rewards card is your perfect business companion, giving you more rewards than any other business card in the market.